Workamping can provide a base for exploring new places and enjoying new experiences. The operative part of 'workamping' is WORK – in most cases a job. 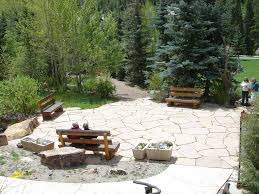 You provide a specified amount of labor and part of your compensation is a campsite with hookups. Most employers expect you to commit to their full season. Michelle and I have done that several times with satisfactory results. We prefer less restrictive situations, i.e., fewer hours and shorter durations. For us the operative part of 'workamping' is TRAVEL. Our goal is to spend time in out–of–the–way, interesting places without paying full freight at campgrounds; and without signing up for the whole summer. I am not opposed to routine chores but I seek out unusual tasks – doing things I have never done before. For example, I have restored antique farm tools, fed and watered wild horses, and built a railroad. For us workamping is the way to get free camping rather than make money. Our favorite situations have come from volunteering with non–profit organizations. I offer a sixty day commitment, a maximum of twenty hours per week from each of us, and no wages. In return, I ask for a full hookup campsite. We try to work a schedule that gives us time off together for exploring. If our services are satisfactory, I expect a letter of reference at the end of the assignment. Most of our situations are looking for a 'little help', not an employee. They are thankful to avoid the expense, paperwork, and hassle that go with employment. We are pleased to avoid the tax implications of working in several states in one year. Finding these situations is not easy. We find opportunities on Workers On Wheels, Workamper.News, and Habitat for Humanity RV Care-A-Vanners but I also do a lot of web searching and follow–up research. I save articles about places that look interesting and communicate with them about workamping possibilities. We have been doing this for five years. We have enjoyed experiences in Florida, South Dakota, California, and Pennsylvania. This summer (2015) we are experiencing New Mexico, and North Dakota. Our shortest experience was one week decorating a Rose Parade float; our longest was four months feeding and watering wild horses. Using workamping as an exploration tool has been rewarding for us. It has allowed us to see places we would have otherwise missed and it has led me into a new hobby – blogging. I use Google Blogger to keep and publish our travel experiences. Click on the 'Workamping' link in the right hand column of this blog post to see our other adventures. Do you enjoy finding new adventures, seeing new places, and meeting interesting people? Try Workamping to Explore. In my later years, after too many in a suit with a mortgage, I became a full-time RVer. I love it; I wish I had started thirty years earlier; I wish I could do it forever; I hope to be doing it on the day I die. I used to hate Sunday afternoon because of impending Monday morning. No more. Between now and the end of my days, the romance of the open road is real for me and I face every day with eager anticipation. This RV life excites all five senses every day. When traveling, the ever changing view through my windshield exhilarates me – mountains, valleys, plains, rivers; summer, autumn, winter, spring; awesome sunrises, spectacular sunsets. When parked, new places intrigue me – old forts, lighthouses, museums, ghost towns, truck stops, small town diners, backwoods campgrounds, even the couple in the next campsite. Wherever I am, I love the scene that greets me every morning when I open my door. Pulling on an old shirt, jeans, and boots to head out for a day to be spent my way is both comforting and exciting. I never use a watch and seldom a calendar. What time I go out doesn't matter; what time I come home matters even less. Like everyone, my life was a mixture of success and failure, hits and misses, good decisions and bad. My age and my RV lifestyle comfort me with the thought that none of that matters now – and in reality never did. Fresh coffee brewing over a campfire, campfire smoke, diesel fumes at a busy truck stop, the smell of horses and cows on a ranch, the smell of the ocean or a mountain pine forest all tickle my nose and make me feel good inside. The smell of ozone in the air after an afternoon cloudburst on the eastern side of a mountain range somewhere makes the world smell clean. God's greatest creation was bourbon in a tin cup. I usually sip that quietly at sunset in a nice place. Close behind is freshly brewed coffee in the morning. But I also love lobster and clams at a New England Lobster Pound and Tex–Mex in a border town on the Rio Grande. Then there is the home cooked special at a little non–descript Momma's restaurant along some back road in the middle of nowhere that turns out to be a meal I'll never forget. The purr of diesel engines in a truck stop; the night sounds in a campground; birds in the morning; screaming tires on the highway; the bugling of an elk on a frosty autumn morning are all part of my world. But the best sound of all is the clang of my fifth – wheel hitch slamming shut signaling the start a new adventure. I'm sure glad God gave me five senses so I wouldn't miss any of it. Did you ever notice that all mountain towns are long and skinny? Funny how that happens. 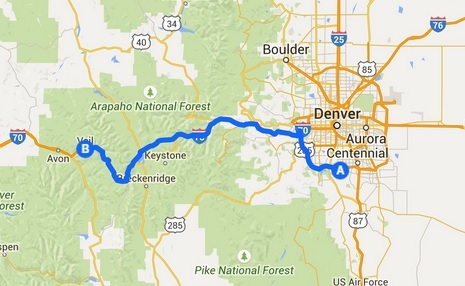 Whenever we visit our son in Denver, we always have some kind of adventure into the Rocky Mountains. 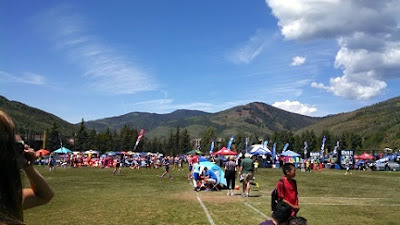 This time it was a weekend soccer tournament in Vail, Colorado. I think of "Vail" as the umbrella name for the world famous winter ski area that encompasses several towns strung along I-70 in the Arapaho National Forest about 100 miles west of Denver, CO. 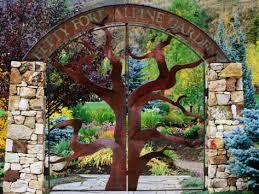 These include Vail, Frisco, Silverthorne, Keystone, and Dillon to name a few. This was our first visit to the area. 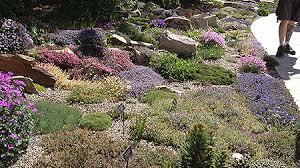 It is beautiful now in the summer and I can imagine what it must look like in the snow of winter. Our home for this weekend was a condo in Keystone graciously provided by long time friends Gail McGovney and Jodi and Tyler Sewell. Our special thanks to them for their hospitality. In 1978, I bought a soccer ball for my kids. I had no idea what I was starting. Both my kids played the game. Amy (our daughter–in–law) played the game through college. My three grandsons (10,8,6) play the game. There are more soccer balls around their house than I can count. They are season ticket holders for the Colorado Rapids MLS team. They watch every game and the three boys know all the players and their stats. The word "fan" comes from the word "fanatic". These folks put the "atic" back in the word. It blows me away. When Adam graduated high school in 1995, Michelle and I broke lock with soccer and watched it develop from a distance with only mild interest. That was 20 years ago and my how the sport has changed in those years. I doubt there are any kids reading this blog, so it will probably stretch your mind as it did mine. This weekend I thought I was on a different planet. First off, this sport has become a fashion industry. No more white and black pentagon soccer balls. Now the colors and patterns are wild beyond imagination. As are the shoes, socks, and uniforms. I thought about the movie Back to the Future and mused about what it would be like for my grandson to go back 20 years and walk onto the field where his Mom and Dad played dressed in today's soccer garb. Would the reaction be stunned silence or would he be laughed off the field? Then I was introduced to "Kick It 3v3" – an organization (and game) celebrating their 25th anniversary. 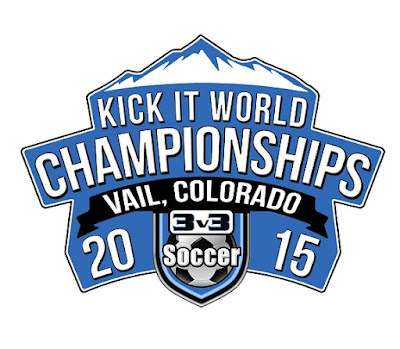 Andrew and Joshua, our two oldest grandsons, played this weekend in the World Championships in Vail, CO. They each played multiple games on Friday, Saturday, and Sunday. I'll describe this the best I can by blatantly stealing from their promotional material and referring you to their website. 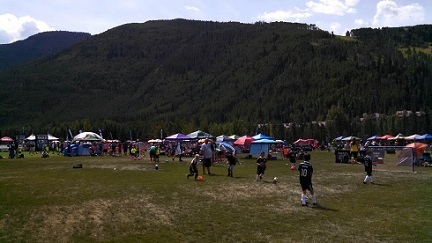 Kick It is celebrating 25 years as the largest national grassroots soccer tour in the U.S., providing over 5 million kids and families with a fun, safe, healthy, experience. The game concept for 3v3 is: no goalies, high-scoring, fast movement, each player touches the ball constantly and learns the 3-player game. This concept helps each player move to the full-sided 11v11 game with confidence and skill. Using a small field and maximizing player touches, 3v3 teaches players the game of soccer within the game of soccer. Players leave each 3v3 session with a passion to learn more and play more. This tournament was held at Ford Field in Vail (GPS: 39.640418, -106.365466) which is part of Ford Park. While searching Google for pictures of Ford field, I found a lot of Lacrosse photos. 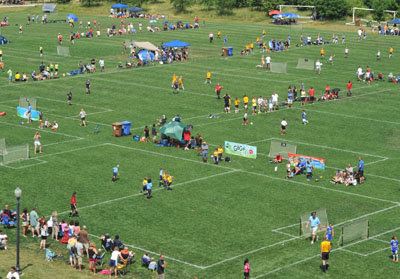 I guess the field is a favorite for Lacrosse tournaments as well. 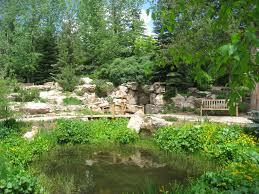 Ford Park is home to Betty Ford Alpine Gardens (GPS: 39.639774, -106.364822) a botanical center with a wide variety of flowers and plants plus docent tours and children's programs. 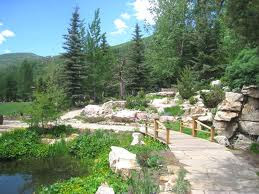 The Betty Ford Alpine Gardens are the world's highest botanical garden, located in Vail, Colorado, USA, at an 8,200 feet altitude in the Rocky Mountains. 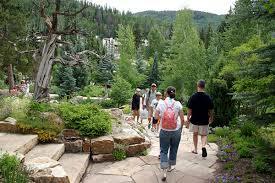 The Gardens are open to the public daily from Memorial Day to Labor Day. Amy, Andrew, and Joshua went to Vail on Friday morning because the boys had Friday games. Michelle, Adam, Benjamin, and I made the trip at a more leisure pace on Saturday morning. A short distance out of Denver we were in the mountains and the views were spectacular for most of the drive. We got there in time to see all four games (two each – Andrew and Joshua). I have an App on my phone that shows Munzees in the area. (What has that got to do with anything!!). 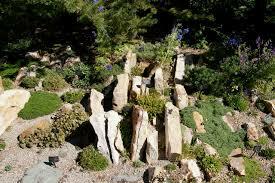 The app showed a Munzee located in the Betty Ford Alpine Garden. So during a lull between games Joshua and I went on a Munzee search. No luck. The recorded coordinates were way off. We did get to walk through the garden which didn't interest Josh at all. So much for that attempt at bonding. Bright sun and high altitude took their toll and by the end of the day we were whipped. But not so whipped that we couldn't stop for a great dinner at Dillon Dam Brewery in Dillon, CO (GPS: 39.627561, -106.060349). We headed back to the condo. Adults wanted to go to bed but the boys were recharged by their dinner so some time in the pool was needed to wind them down again. Sunday was bright and clear. Another great day for soccer at Ford Park. Both boys played in two more games. The final result was that Andrew's team finished third in his age group and Joshua's team finished fourth in his. A good time was had by all. Most people piled into their cars and headed back to Denver creating the typical Sunday evening traffic jam. We elected to stay another night and travel on Monday morning. So we had time for another excellent dinner – this time at Ollie's Pub & Grub in Frisco. A good dinner, more pool time, a good night's sleep, and head home Monday morning. Another adventure in the books.